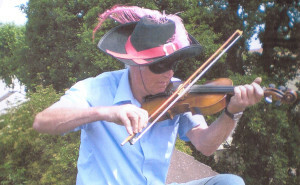 A ‘PHANTOM Fiddler’ has made a re-appearance – on a rooftop in the town. Frome’s Reg Ling recalls, “It was during my time living in Catherine Street during the early days of those wonderful medieval street fairs that the Phantom Fiddler appeared, the result of a bet as to who would get the most money for busking on the day of the fair. 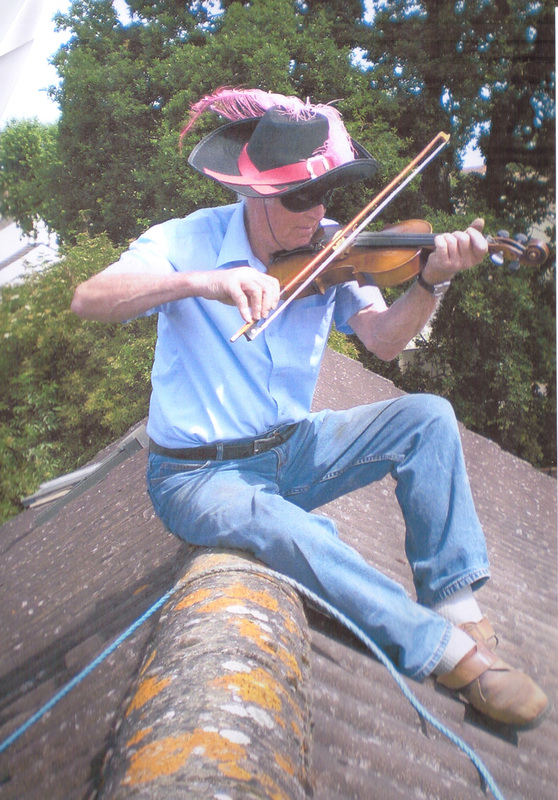 “The late Bill Sturges could play the fiddle. I could not, apart from the two notes he had shown me of ‘hearts and flowers,’ and furthermore had no desire or interest in doing so! “The bet was on, so I needed some guile and front to have any chance of winning. Dressed and set up as the ‘Phantom’ with two collection boxes, one to start me and one to stop, at 50p a time, I did win the bet. “Most people thought I was pretending that I couldn’t play, how wrong they were!